Product prices and availability are accurate as of 2019-04-19 23:00:19 UTC and are subject to change. Any price and availability information displayed on http://www.amazon.com/ at the time of purchase will apply to the purchase of this product. 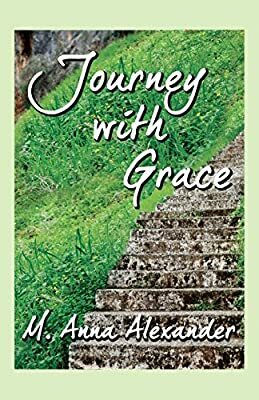 Author Bookstand is proud to offer Journey with Grace by Bookstand Publishing. Bookstand Publishing offers books by the best indie authors throughout North America and the world. Bookstand Publishing is dedicated to offering original content to a broad audience and promoting great authors, literacy, and freedom of expression. 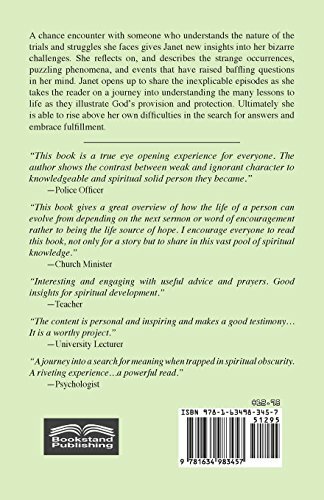 Journey with Grace has generated a lot of interest and excitement and we think it would be an excellent addition to your library. A chance encounter with someone who understands the nature of the trials and struggles she faces gives Janet a new approach to her bizarre challenges. She reflects on and describes the strange occurrences, puzzling phenomena, and events that have raised baffling questions within her mind. Janet opens up to share the inexplicable episodes, as she takes the reader on a journey into comprehending the many lessons to life as they illustrate God's provision and protection. She is ultimately able to rise above her own difficulties in the search for answers and embrace fulfillment.